Nothing beats word of mouth at the end of the day. It's King. You get people talking and-- you get the right people talking and everybody will be going to see what the hype is about. I say the right people, cause some just don't have great taste. Don't want to waste time following a lead from them. This is what brought me to checking out Power. Well reminded me to watch. I have been for a whole year, trying to get around to watching this show. I have loved it from the preview but never caught it on. I kinda also forgot it was on Starz. I thought it was on Fox or something. The series follows James St. Patrick, nicknamed "Ghost", owner of a popular New York City nightclub. In addition, he is a major player in one of the city's biggest illegal drug networks. He struggles to balance these two lives, and the balance topples when he realizes he wants to leave the drug ring in order to support his legitimate business. 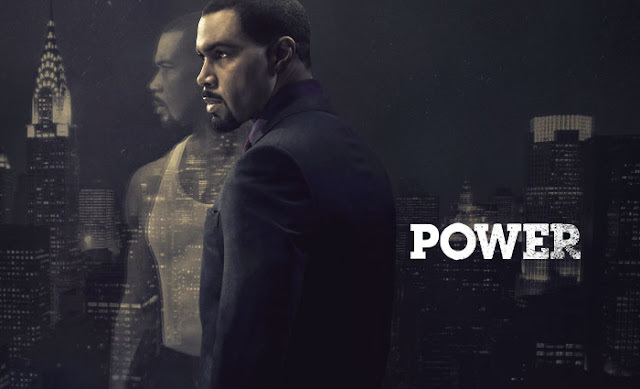 The kicker about this is the man that plays 'Ghost' is Omari Hardwick. Omari is from the Peach State (Georgia) and also played football for the mighty UGA. So I was already happy to support the show, this is just the icing on the cake that an fellow ATLien is the lead. He also been in a couple of other things. The one you haven't seen and I suggest you check out is 'Everybody Black Man'. It's pretty good. Be sure to check out Power on Saturdays at 9pm and check out the E.B.M trailer below.